The steelmaking process is complex, with many phrases and terms that are unique to the industry. The heat treatment process by which steel product are reheated to a suitable temperature in order to remove stresses from previous processing and to soften them and/or improve their machinability and cold forming properties. Alloy steels have enhanced properties due to the larger proportion of elements such as manganese and silicon present in carbon steels. The sum of net industry shipments within a given country or region, plus its imports and minus its exports. A finished steel product, commonly in flat, square, round or hexagonal shapes. Rolled from billets, bars are produced in two major types: merchant and special. Steel sheet of high dimensional precision, in simple or complex form, sometimes multi-thickness, constituting principally automobile body parts. Blast furnace is a furnace used in integrated steelmaking in which coke and iron ore react together under a hot air flow to form liquid hot metal, also called pig iron. 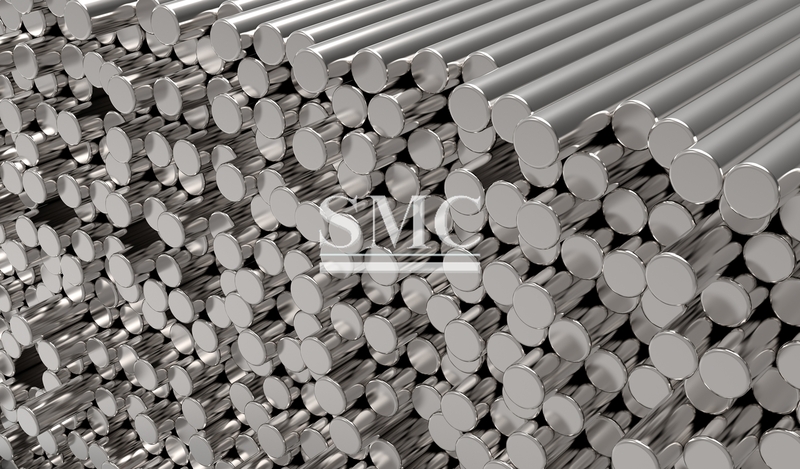 A type of steel that generally has only a small quantity of elements other than carbon, silicon, manganese, sulphur and phosphorus, so it has no significant alloying element. The primary fuel used by integrated iron and steel producers. Steel is coated by a heat process, or through electrolysis, with a layer to protect the metal base against corrosion. The most commonly used coating material is zinc which can be applied either using the heat process (hot-dip galvanising) or using electrolysis (electro-galvanising). An organic coating (paint, plastic) can also be deposited on the zinc layer. A finished steel product such as sheet or strip which has been wound or coiled after rolling called coil. Ovens where coke is produced. Coal is usually dropped into the ovens through openings in the roof, and heated by gas burning in flues in the walls within the coke oven battery. After heating for about 18 hours, the end doors are removed and a ram pushes the coke into a quenching car for cooling before delivery to the blast furnace. Passing a sheet or strip that has previously been hot rolled and picked through cold rolls. Cold rolling makes a product that is thinner, smoother and stronger than can be made by hot rolling alone. Continuous casting is a process for solidifying steel in the form of a continuous strand rather than individual ingots. Molten steel is poured into open-bottomed, water-cooled moulds. As the molten steel passes through the mould, the outer shell solidifies. Steel in the first solid state after melting, suitable for further processing or for sale. Synonymous of crude steel is a raw steel. Produced when hot or cold roll sheet or strip is coated with zinc, either by the hot-dipping or electrolytic deposition processes. zinc coating applied by the hot dip method is normally heavy enough to resist corrosion without additional protective coating. Materials electronically galvanised are not used for corrosion-resistant applications without subsequent chemical treatment and painting, except in mild corrosive conditions, due to the thin coating of zinc. Galvanise is a pure zinc coating. A special heat-treating process converts the pure zinc coating to a zinc/iron alloy coating, and the product is known as Galvanneal. Hot-rolling mill: Equipment on which solidified steel preheated to a high temperature is continuously rolled between two rotating cylinders. Cold-rolling mill: Equipment that reduces the thickness of flat steel product by rolling the metal between alloy steel cylinders at room temperature. Hot metal is a molten iron produced in the blast furnace.